The Lyric is a personalized tone machine! 6L6 tubes in the Lyric provide 10 watts that is big bold and punchy. 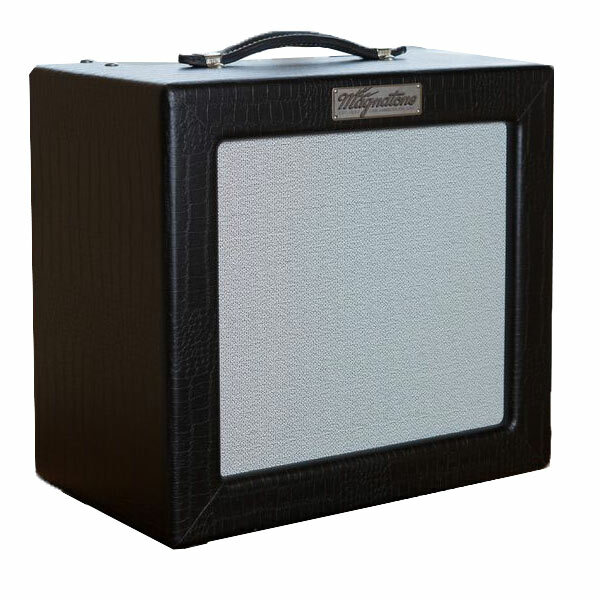 Jensen P10R rounds out the combo enclosure with the classic Alnico magnet tone. Volume and tone controls are extremely accurate. NFB switch provides settings of gain and harmonics by restructuring the power amp gain providing fuller tone.